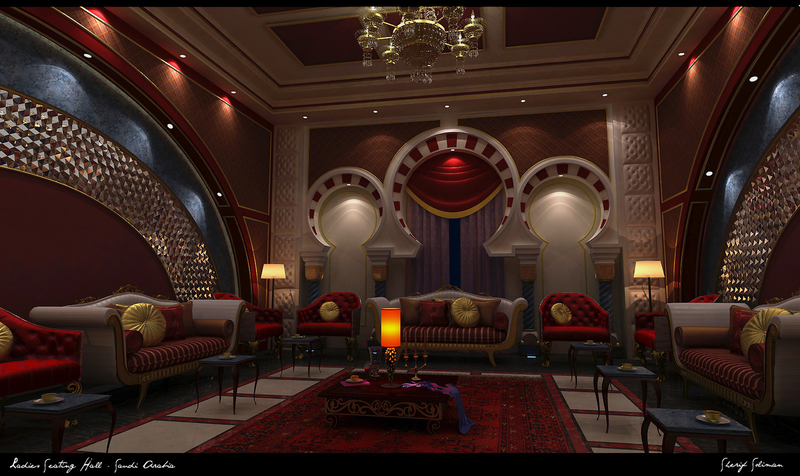 This is a ladies seating hall a Part from big residence building based in Saudi Arabia. Designed and Rendered by me using 3ds max, Photoshop and Vray Renderer. Hope you like it and all comments and critics are welcomed !